Herbivore Botalicals is a recent indulgence. Aside from the fact that they are ‘100% Natural Vegan Handcrafted’ - which I love considering my sensitive skin - the line is beautiful. I’m talking next level I want to collect my favorites and display them on top of my dresser next to my jewelry beautiful. The product line falls within a very affordable price range (roughly $18 - $38 per item, $60+ for gift sets) but every item feels very high quality, in the jar and on your skin. It could be that I am particularly attracted to this line because it has an upscale free-spirited vibe, like a California flower child with remarkable taste. But I really think there is something here for any & every beauty fanatic (men included). 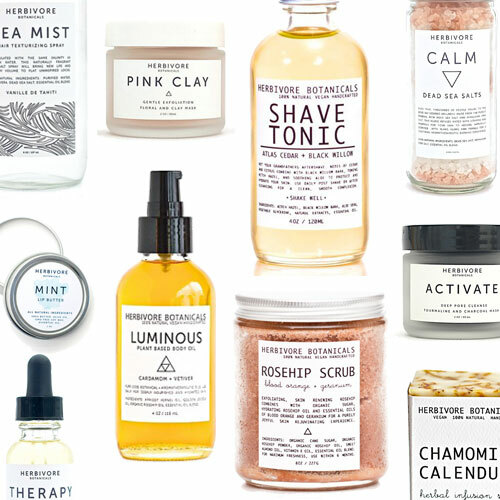 You can shop Herbivore Botanicals on their website or (which I didn’t realize until this moment - coincidence that they’ve come up twice recently) at Urban Outfitters.